Dr. Oren L Weisberg, MD is a Doctor primarily located in Lancaster, MA, with another office in Acton, MA. He has 21 years of experience. His specialties include Ophthalmology. He speaks English. The overall average patient rating of Dr. Oren L Weisberg is Great. Dr. Oren L Weisberg has been rated by 6 patients. From those 6 patients 4 of those left a comment along with their rating. The overall rating for Dr. Oren L Weisberg is 3.8 of 5.0 stars. My 3 year old son has a lot of issues with his eyes and we were referred to Dr. Weisberg for it. My son has been seeing him since he was a year old and we have had no complaints. My son loves to see him and Dr. Weisberg is always so very friendly towards myself and my son. My son also had eye surgery done by Dr. Weisberg to loosen the muscles in his eyes and Dr. Weisberg did an amazing job. OMG THE OFFICE NEEDS AN ADJUSTMENT IN HOW SHE TREATS PEOPLE!!. This is my daughters second appnt here.. first was to see Dr. weisberg went to another dr. first.. back again to this guy .. as that is whom my daugther was revered to.. this place just wants to make $$ and does not care about YOU at all.. DON'T GO HERE.. there are plenty of REAL eye care places out there. .you don't have to go here.. this is just a CHAIN and a JOKE.. money makeing place. they want to make $$ off you and your family. Government should close D'Ambrosio Eye down. They said my daughter has bed eye version but no eye health problem. But they want to see my daughter every 3 months. And I was stupid to bring her in every 3 months for the 3 years. buy 4 time more $$$ eye glass and other etc from them. Anyway, that was the worst part. They always has a girl dilate my daughter's eyes every 3 months since her first visit when she was 5 years old and only get to see the doctor for like 3-5 mines. Now she's 8 she can explain more how she feels and I also see her eye balls alignment is off. One day, the alignment was so off, my younger daughter actually said her big sis likes scary. I decided to bring her to another place since D'Ambrosio Eye is always so hard to get an appt. Guess what I found out. Her prescription is not right. Her eye muscles were damage from frequent dilation for such a year ago. They should go to jail. They are so busy. They only care to make $$ from you. I hope not that many people get hurt us. Fantastic Doctor-- I wish Dr. Weisberg were a primary care doc, as I see those more than I see eye doctors. A tremendous bedside manner and really listens to the patient. Never felt rushed, and took care of the problem completely. I went on the recommendation of a friend, and I would certainly pass the recommendation on to others. Oren L. Weisberg, M.D. is a Boston Ophthalmologist who specializes in Pediatric Ophthalmology and Adult Strabismus in Boston. Dr. Weisberg attended the University of Pennsylvania where he concurrently received a Bachelor of Arts and Master of Arts degrees. He received his Medical Degree from the Albert Einstein College of Medicine in New York and performed his internship in General Medicine at Greenwich Hospital. Dr. Weisberg completed his Residency in Ophthalmology at the Albert Einstein College of Medicine. In addition he completed a Fellowship in Pediatric Ophthalmology and Adult Strabismus at the Indiana University Medical Center. Dr. Weisberg and his specially trained technicians see children of all ages. He specializes in all types of eye conditions and eye diseases in children. He also treats both pediatric and adult strabismus (eye turns or crossed eyes) and lazy eyes. He sees patients at the Lancaster and Acton offices. The Lancaster office has specialized lanes (rooms) created for children. He is on staff at Leominster and Emerson Hospitals and has courtesy privileges at Boston Children’s Medical Center. He enjoys the outdoors and takes advantage of the natural beauty that Massachusetts has to offer- from the mountains to the beaches. 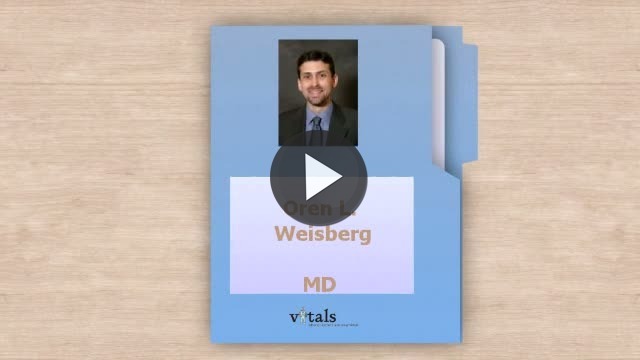 Take a minute to learn about Dr. Oren L Weisberg, MD - Ophthalmology in Lancaster, MA, in this video. Dr. Oren L Weisberg is similar to the following 4 Doctors near Lancaster, MA. Have you had a recent visit with Dr. Oren L Weisberg? Select a star to let us know how it was.